Mobile is driving huge growth for Disney: The company is now the number six mobile games publisher in the world, according to Disney Interactive president James Pitaro, who said at a mobile showcase at the company’s offices in Los Angeles Friday mobile games are driving a lot of growth for the company, with daily users up 51 percent over October 2013 and time per user spent up 75 percent. 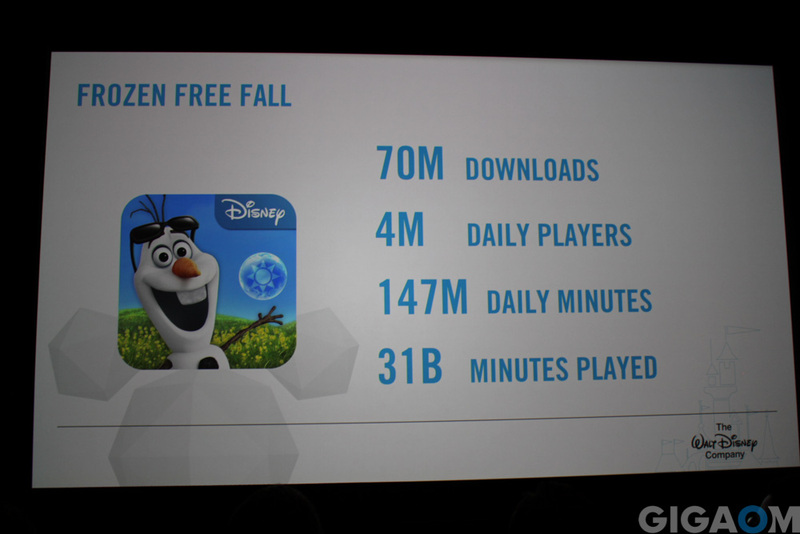 One of the apps that got a call-out from Patiro was the Frozen Free Fall app, which not only has seen 70 million downloads, but also huge engagement: Users have spent more minutes with the app than theater audiences with the Frozen movie in theaters, according to Pitaro. 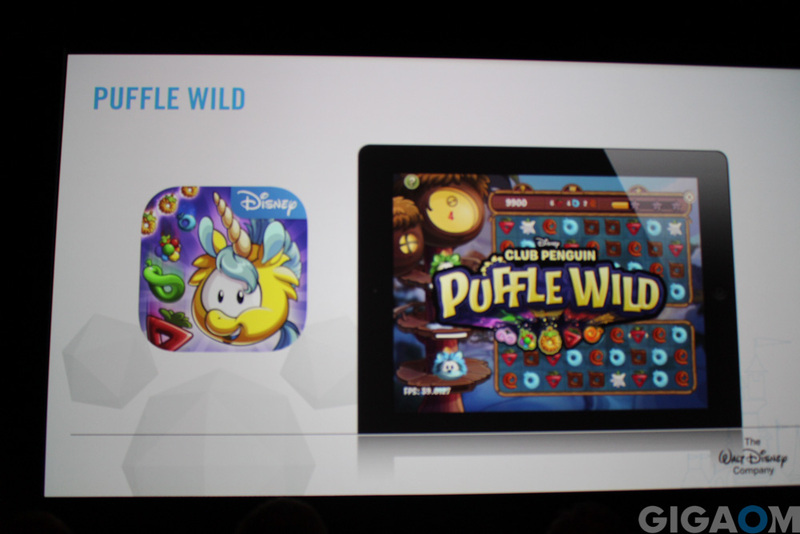 Another app he specifically mentioned was Club Penguin, which has become the #1 virtual world for kids. Next month, Disney will launch a new app for Club Penguin users that will add a new monetization model to the virtual world, which Disney acquired in 2007. Club Penguin Puffle Wild will offer free content to Club Penguin subscribers, and in-app purchases for users who don’t want to subscribe to a monthly service. 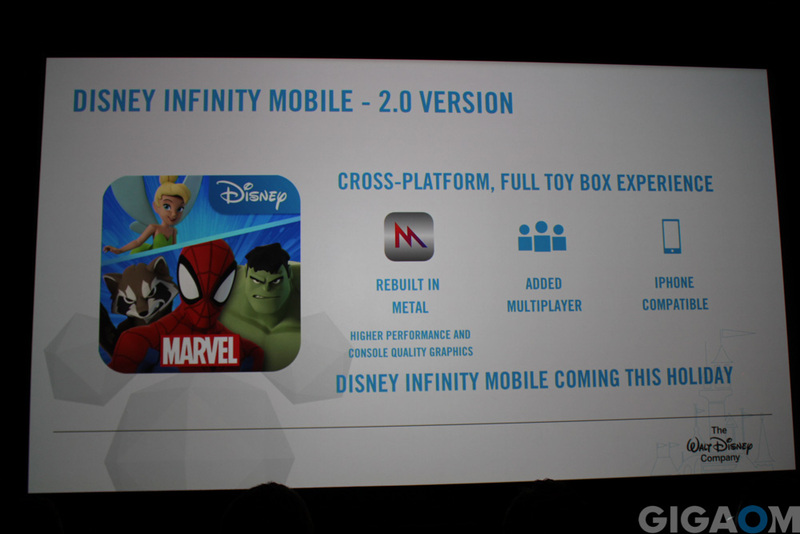 And finally,Pitaro announced that Disney will launch a new mobile app for its Disney Infinity multiplatform game this holiday season. The new version has been rebuilt with Apple’s Metal, and is adding multiplayer support. The announcements were part of a mobile development showcase that showed off new mobile initiatives across the company. Disney Chairman and CEO Bob Iger that mobile represents unprecedented change for the company as well as the industry as a whole. “I have never seen more chnage in our business than I have… in the last four, five years,” Iger said.Pitaro echoed these remarks by saying that the industry has seen $26 billion in revenue from mobile games and apps over the past year. This story was corrected at 11:10am. A previous version incorrectly attributed the $26 billion in mobile revenue to Disney, while it really is an industry-wide estimate. I remember when my son came to me and said, “There was a new place for kids to place and they need some people to test it. Can I sign up?” I looked over and signed him up. He beta tested the original Club penguin. He was nine. He lost that original penguin (he forgot the log in name) and created a few others when it went online. He eventually created the one he liked the most and it is still there. He even created one for me. He checks in on occasion or lets his younger cousin use his penguins, and we have watched it grow from those very early days. Though a bit too old, we both like checking it out once in a while.